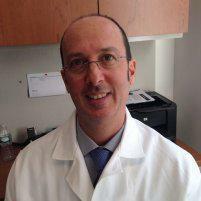 Dr. Bradley Grossman serves patients who live in the Chelsea and New York City, New York areas. The doctor is a Board Certified chiropractor and Sports Chiropractic physician who specializes in the treatment of back pain, lower back pain, and various sports injuries. The lumbar area of the spine is commonly where most back injuries occur. It is the lowest section of the spinal column and bears most of the weight of the torso. When a person lifts an object or bends to move something, the lumbar region of the back bears the majority of the support and movement. Improper lifting techniques or twisting while the legs are not in a stable position can result in lumbar back pain. Herniated discs or damage to the base of the spin because of a fall are both causes for lumbar pain. For people who must lift as a part of their job, there are weight belts that support the lumbar region of the spine and will help to reduce injuries. What are the Benefits of Combining Chiropractic Care and Massage Therapy? Combining chiropractic care with massage therapy offers a two-prong approach to treating back pain. Chiropractic addresses issues in both the muscles and skeletal structure of the body. Massage therapy provides the muscles with an added layer of strength that reinforces the chiropractic adjustment and improves blood flow to the area so the healing process can begin. Once the chiropractor has adjusted the musculoskeletal structure and brought the body back into alignment and balance, the massage therapist manipulates the muscles improving both their flexibility and strength. Kneading the tissues releases toxins and stimulates blood flow, flooding the area with the nutrients it needs to heal. What Should be Included in a Pain Management Plan? A pain management plan should include everything a patient may need to improve their health and regain the highest quality of life possible. Anti-inflammatory pain medications will allow the person to function while the injury or illness is healing. The pain management plan should include rehabilitative therapy that helps the patient to regain the use of the injured area of the body. It should also include treatment methods that are both effective and sound. These include chiropractic adjustments, massage therapy, acupuncture, and wellness care that support the healing process and strengthen the person as a whole.